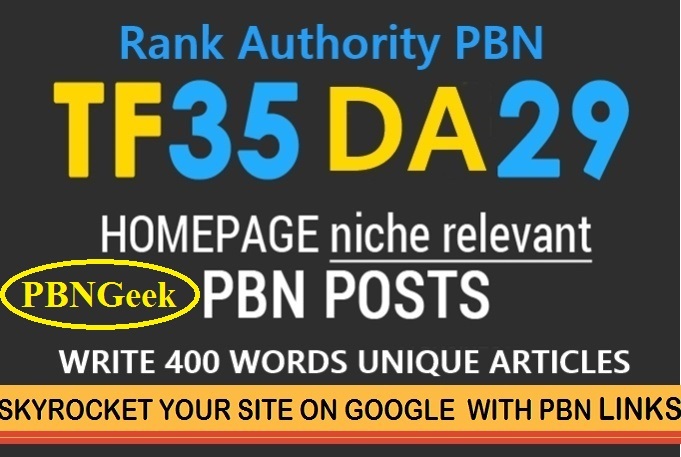 I will manually build 10 UNIQUE HOMEPAGE PBN backlinks on Extremely High Trust Flow & Citation Flow and Domain Authority & Page Authority Domains. PBN Links are Super Effective in SEO. If you are looking for bulk quantity spammy links, then this service is not for you. THIS service IS EXCLUSIVELY FOR QUALITY LOVERS who want natural links with relevant content on HIGH AUTHORITY sites. Such high metrics links will definitely boost your SERP. NO, this is the charge For 2 Months ONLY! !